Follow these instructions to set up your giving account and/or set up the app on your phone. You only need to complete the steps on this page once. If you do not see our church logo at the upper left, you are on the wrong site. Do not sign up. Once you hit "Submit" your account is set up. Use this same account for giving from a computer, or for giving on your phone. IMPORTANT: If you are married and file your taxes jointly, we recommend that you set up one account for you and your spouse. Once you click "Submit", your payment information is stored in your account. You can also give from a phone via the ShelbyNEXT | Giving app. You can download the Android App Here. You can download the iOS App Here. Set up your account as shown above, and then download the app to your phone. Launch app, enter “Clarence”, and press “Search”. Do not use the other search options. They do not seem to work in the current version of the app. IMPORTANT: Confirm you chose the correct church to prevent giving to the wrong organization. Verify the Organization name is "Clarence Church of Christ" before you sign in. 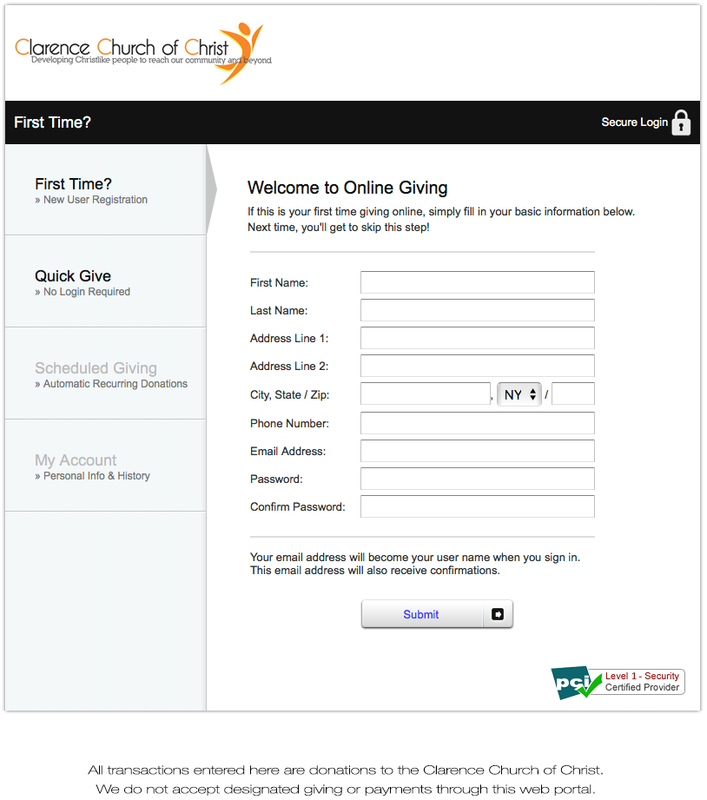 Your account should be set up and ready to give.